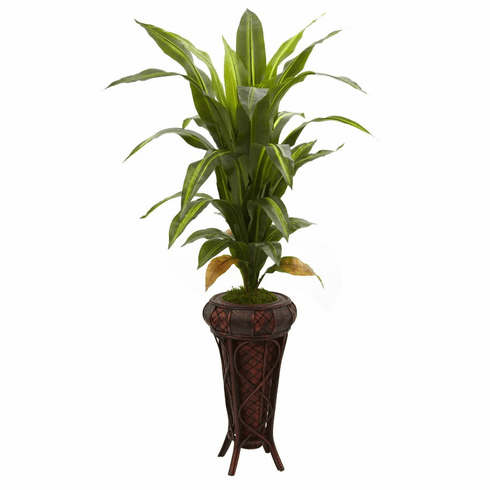 "Stately" is the word that springs to mind with this large 57" Dracaena silk plant. With its cascading leaves gently rising up and out, it definitely commands attention. Standing tall nearly five feet in height, it makes an ideal room accent, corner piece, or entryway accompaniment, and looks great in both the home and office. Comes with a decorative planter stand. Height= 57 In. X Width= 30 In. X Depth= 33 In.